Summary: Five very different high school student, in the culture study group they formed to satisfy school's extracurricular activity requirements, suddenly start to encounter random body swaps with different people in the club. 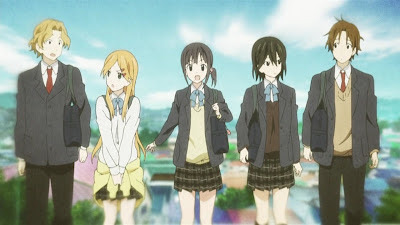 Personal comments: For starters, since the original character design is done by the same person, this looks very much like K-ON. 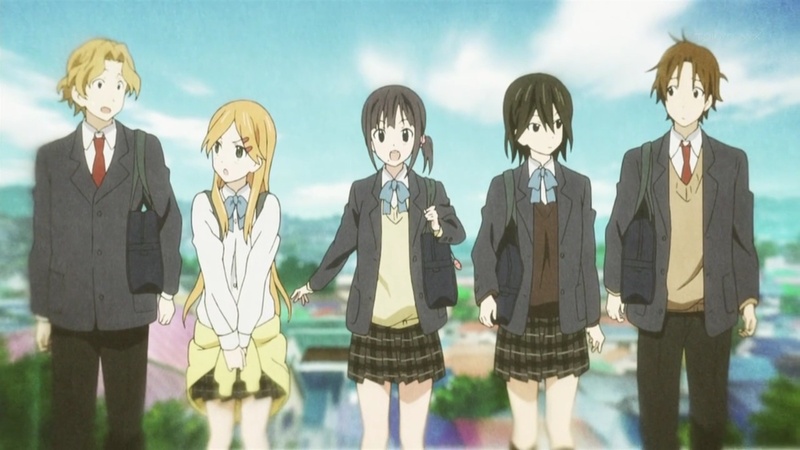 I wonder whether they are in the same school as K-ON, since their uniform is more or less identical, not to mention Azu-nyan's cameo appearance in one of the scenes. I would not be surprised if at some point they are attending their school festival with K-ON's concert events.